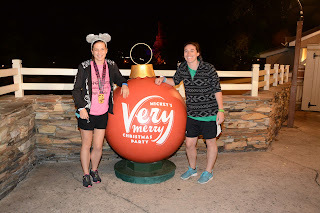 Halloween has come and gone, so at Walt Disney World, that means it's the Christmas season! 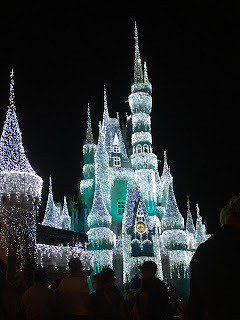 One of the highlights of visiting Magic Kingdom in November and December is Mickey's Very Merry Christmas Party (MVMCP). 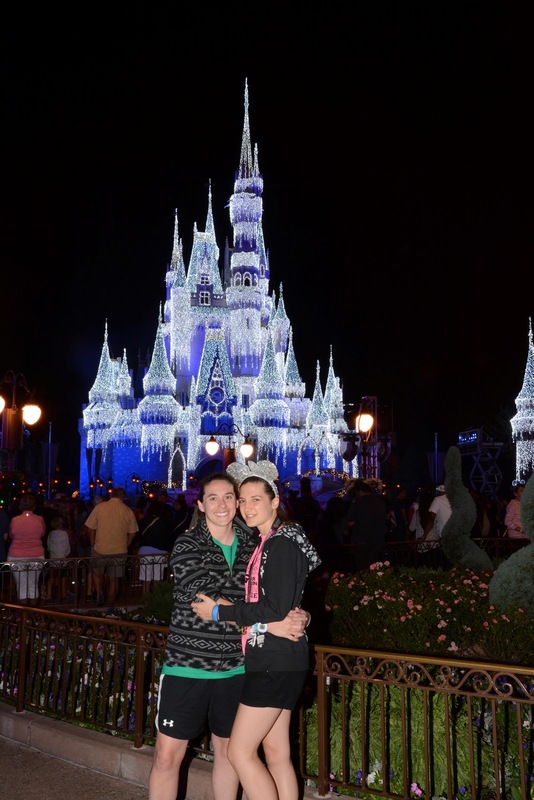 This is a hard ticket event that takes place at Magic Kingdom on select nights. The party runs from 7:00PM-midnight, but like the Halloween party, you can get into the park starting at 4:00PM. New this year, day guests who do not have party tickets will be asked to leave the parks by 6:00PM instead of 7:00PM. There are multiple things to do at the party. 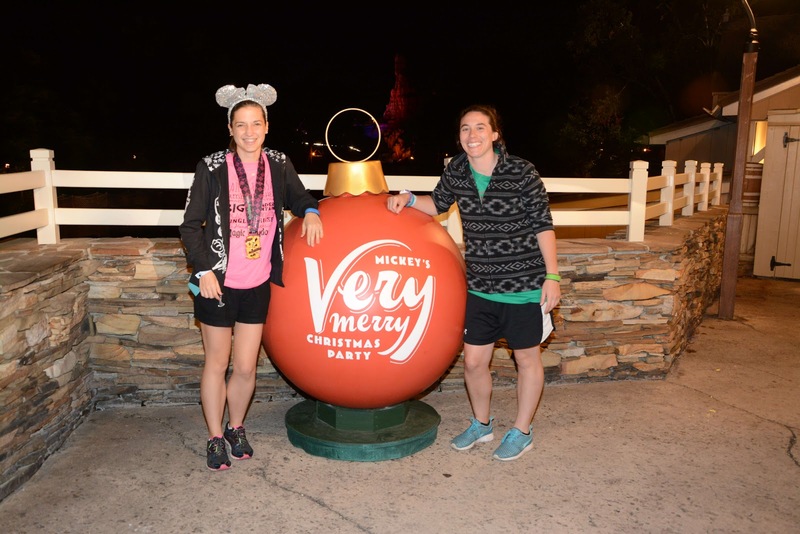 First of all, hot cocoa, cider and cookies are distributed at select locations throughout Magic Kingdom. While these stations are not as plentiful as the Trick or Treat stations at Mickey's Not So Scary Halloween Party, the cookies are delicious. Last year, there were different kinds of cookies at each location, which I hope to see continue this year. Once you enjoy your snacks, you can take advantage of some Magic Kingdom attractions with limited wait times. Many people choose to forgo the attractions in favor of special offerings that are available only at the party. Mickey's Once Upon a Christmastime Parade is my favorite in the current Disney parade lineup. All the floats are detailed and not only have music and characters, but their own smells! My favorite is Wreck It Ralph and Vanellope, theirs smells like candy! The toy soldiers marching down Main Street U.S.A. while snow falls overhead is quintessential Disney Christmas. There are usually two parades. The later of the two is typically less crowded. There are also special Photopass Photo-Ops at the party. Make sure you seek some of these out! Poor Nicole, she always puts up with me making her take pictures! A new castle stage show debuted last year and I'm a big fan. 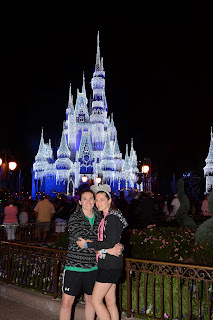 Honestly, the castle stage shows have always been one of my favorite things in Magic Kingdom. I love all the music and characters. This one also included projections on Cinderella Castle as a special touch. MVMCP is known for its special character meet and greets. Jack Skellington and Sally meet with him in his Sandy Claws costume, the seven dwarves meet together in Fantasyland, and hopefully Moana will meet in Adventureland, just like she did during the Halloween party. If you want to meet these characters, it is crucial to get in line early. Some lines begin forming as early as 5:00PM. 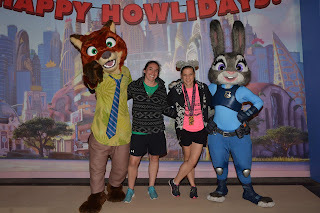 For example, Nicole and I got in line for Nick Wilde and Judy Hopps around 5:30PM and still had quite a few people in front of us. It was worth it though! Finally, don't miss Holiday Wishes. While it's not my favorite Magic Kingdom fireworks show, no night at Magic Kingdom is complete without fireworks. If you don't get a castle pic, were you even in Magic Kingdom?